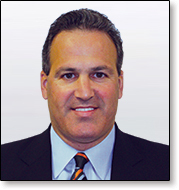 Joe became President in 1995 when the company was originally named NDL Products, Inc., a manufacturer and marketer of sports medicine products and a wholly owned subsidiary of a public company. The company formally changed its name to Life Wear Technologies, Inc. in 2007. Joe purchased the company from the public entity in 2010 and privatized the company as 100% equity owner. Prior to Life Wear Technologies, Joe pioneered a variety of innovative sports medicine products and retail merchandising solutions in his role as National Sales Manager for Tru-Fit Marketing Corporation between 1988-1995. His career spans over twenty-five years in manufacturing, marketing and fulfillment of successful retail programs to mass merchandisers, chain drug stores and major wholesalers. Joe received his BA from Boston College where he was a two-sport varsity athlete and established his passion for the sports medicine industry.